A man was viciously attacked after confronting a thief in the Bronx. Wale Aliyu reports. 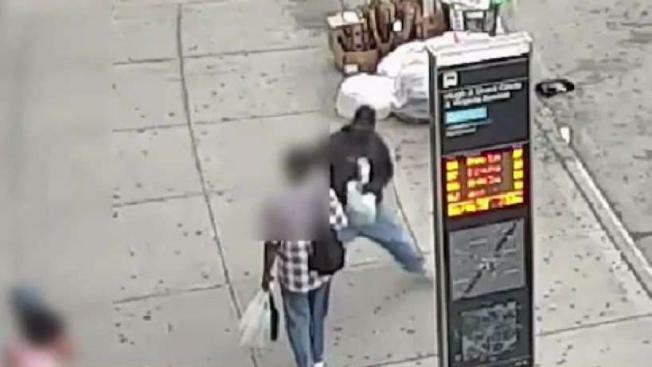 A 65-year-old man suffered spinal injuries and was left knocked out in the middle of a Bronx sidewalk after an attack last week, police say. Cops claim on Saturday around 8 p.m. the man was walking on Hugh Grant Circle near Metropolitan Avenue in Parkchester when the suspect attacked. The 30-something-year-old man ripped his keys off his bag and the victim wanted them back. That’s when the suspect refused and got violent, police said. The attacker punched the victim repeatedly until the man became unconscious. The NYPD said he was taken to an area hospital to be treated for his injuries to his spine. Video from the scene shows the duo talking to each other. Within seconds, they're on the ground with the suspect pummeling the victim. 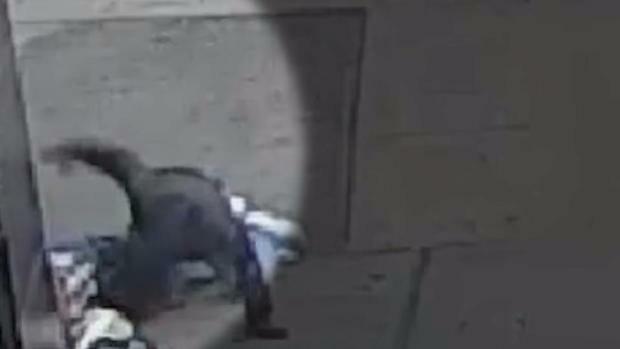 A 65-year-old man suffered spinal injuries and was left knocked out in the middle of a Bronx sidewalk after an attack, police say. Katherine Creag reports. It wasn't immediately clear why the victim was beaten. Witnesses are urged to call Crime Stoppers with tips that could land the attacker behind bars.